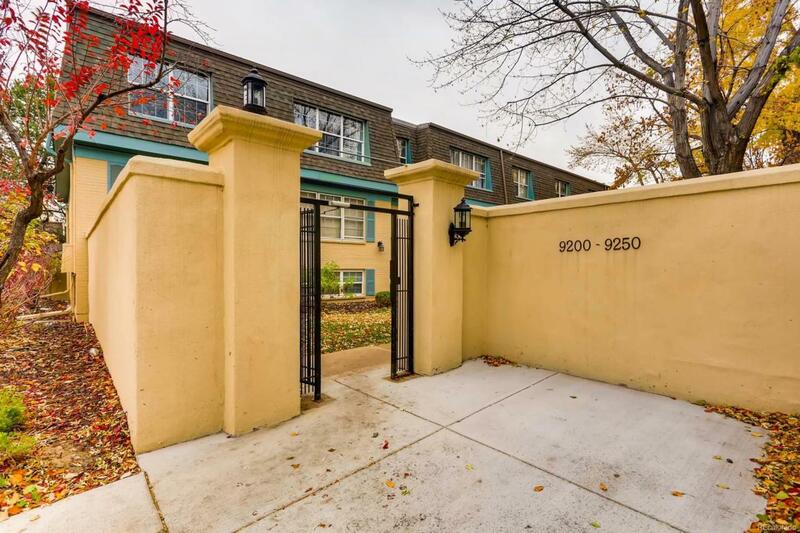 Remodeled and move-in ready condo! Centrally located with two bedrooms, and 2 bathrooms, new kitchen (granite countertops, Stainless Steel Appliances), Private wood deck. Spacious Bedrooms (Master Bedroom has an en-suite half bath), and Large Living Room with tons of natural light. New Carpet, New Floors in Kitchen and bathrooms, Freshly Painted. Gated Reserved Parking Space, Remodeled Bathrooms, 3 blocks to Light Rail, Walk to Super Target & Whole Foods. 2 Blocks to Cherry Creek Trail, Easy Commute to I-25 & I-225 Or DTC.